We're often told by our parents that we should be kind towards ourselves and towards others. Well, turns out they're right. A new study has found that caring for yourself and for others can actually lead to better physical and mental health for you. Researchers found that when we are nervous or upset about certain things there is a threat response in our body. And this threat response can actually damage the immune system. They also found that self-calming exercises could help reduce the damage done by the threat. For the study, researches selected 135 students and divided them into five groups. Members of each group were made to hear a different set of audio instructions. Post this the team then took physical measurements of heart rate and sweat response and the participants were asked to report how they were feeling. They were asked questions like how safe they felt, how kind they were to themselves, and how connected they felt to others. 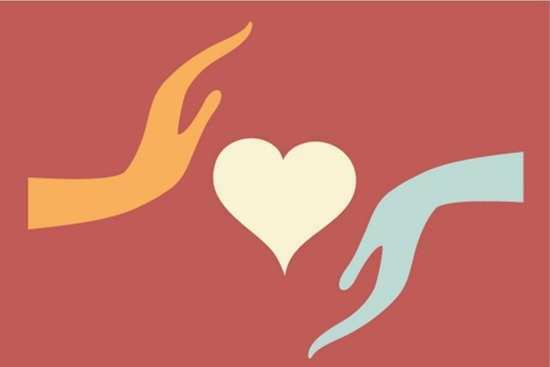 It was found that the groups who were asked to be kind to themselves as well as others, reported feeling more self-compassion as well as a better connection to other people. In fact, it was also found that these people showed better physical conditions. Their heart rates dropped and there was a variation between the lengths of their heartbeat. This is often seen as a clear indication of good heart health. They even showed lower sweat response. “These findings suggest that being kind to oneself switches off the threat response and puts the body in a state of safety and relaxation that is important for regeneration and healing,” said Hans Kirschner, lead author of the study. “By switching off our threat response, we boost our immune systems and give ourselves the best chance of healing. We hope future research can use our method to investigate this in people with mental health problems such as recurrent depression,” said Anke Karl, lead researcher. Well, this certainly goes to prove that being kind to not just others but to oneself also can go a long way in being beneficial for one's health. Stay tuned for more updates. 2Did you know that just like Valentine's Day there's also a Galentine's Day? 4Has #MeToo changed how we dress for work? 10Pizza or pasta? Which is the healthier one?